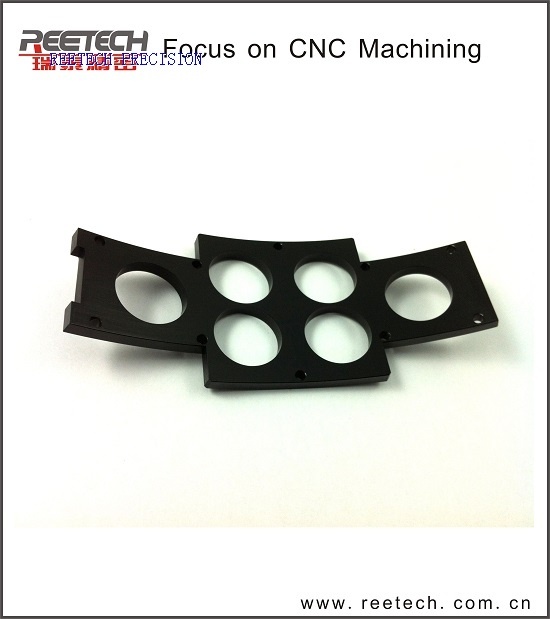 Reetech is a company dedicated to CNC precision machining,we can provide CNC machining parts,mechanical parts,customized machined parts,CNC machined parts,precision machined parts,precision mechanical parts,etc. 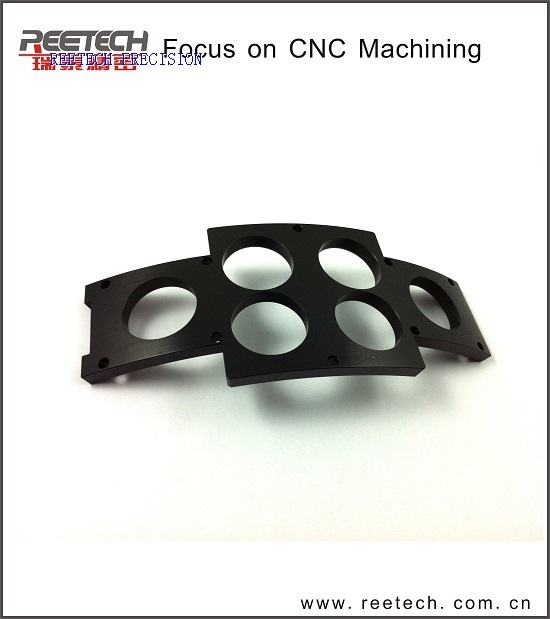 FAQS: Q,What are the materials Reetech can process? A,We often process:a. Stainless steel: 304, 304 L, 316, 410, 416, 420 F, 430F, 440C, 630 and 17 - 4PH.b. Aluminum alloy: 2024, 5052, 6061, 6063, 6082, and 7075.c. Carbon and alloy steel: Fe00, Q235, 40Cr, 20CrNiMo, 35CrMn, 65Mn, of GCr15, SDK11 and S136.d. Copper Alloy: H59Pb - 1, H62, C34000, C36000 and tin bronze.e. Engineering plastics: ABS, PBT, POM, PTFE- , PPS, PEI, PEEK, PA66, PP, PETP, DELR... Q,Can Reetech produce according to samples? A,Our engineers can transmit the 3D and sample provided by customers into normal production drawings, and then put into production according to professional experience of label. If necessary, we can provide tolerance projects. Customers can confirm it and change it. Q,What surface treatment has Reetech done? A,We have done different type of material surface treatment:a. Stainless steel: electro polishing, chemical polishing, passivation, and chrome.b. Aluminum alloy: Sandblasting, ordinary and hard anodizing, passivation, painting and dusting of true color, black, gray and red, etc.c. Carbon and alloy steel: nigrescence, zinc, chromium, nickel plating, electroless nickel, phosphating, painting and dusti... Q,What is the largest part that Reetech can process? A,The largest milling range is 1020x540x510mm; turning range is D2-D45mm. 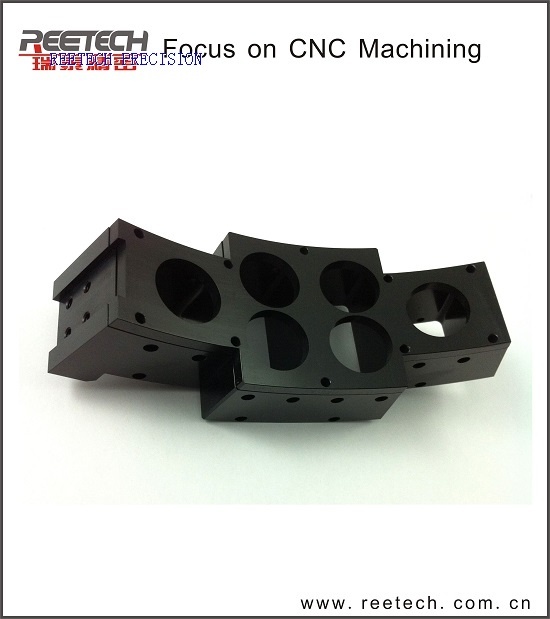 Q,What is the most precise tolerances that Reetech can process? A,Shaft diameter below 6mm and maximum pore size tolerance up to 0.003mm, shaft diameter larger than 6mm and pore size tolerance is 0.005mm. Linearity below 100mm distance etc, tolerance is up to 0.005mm, 100mm or more distance linear tolerance is up to 0.01mm. A form tolerance is up to 0.003 - 0.005mm.Position tolerance is up to 0.01mm. Q,What are the measuring instruments and equipment of Reetech? A,In addition to routine inspection of calipers, micrometer, smooth plug gauge, thread gauge, we are also equipped with high degree gage, projectors, and three-dimension, and rough meter, film thickness instrument and leak testing instrument of vacuum helium and other testing equipment.